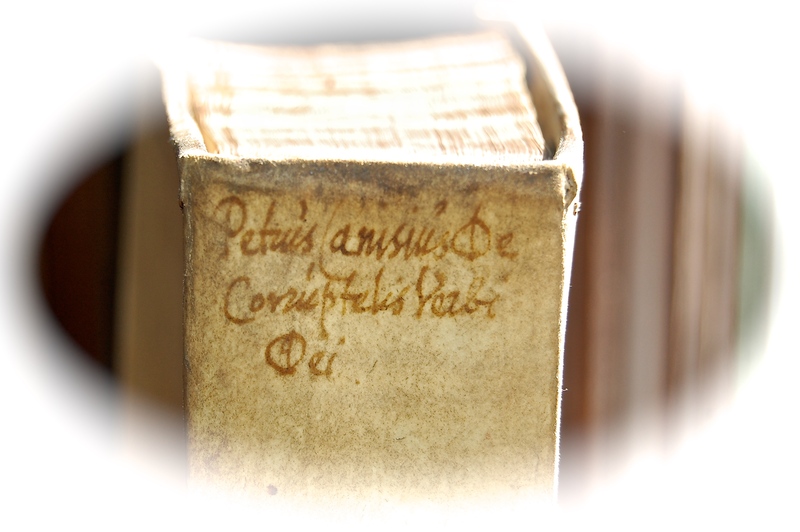 Just recently, after I sold a copy of this wonderful book, I purchased another copy , this new copie has some nice features which make it a great copy , it has less browning that the previous copy and it is certainly 17th century vellum. Folio, 32.5cm x 22.5cm. 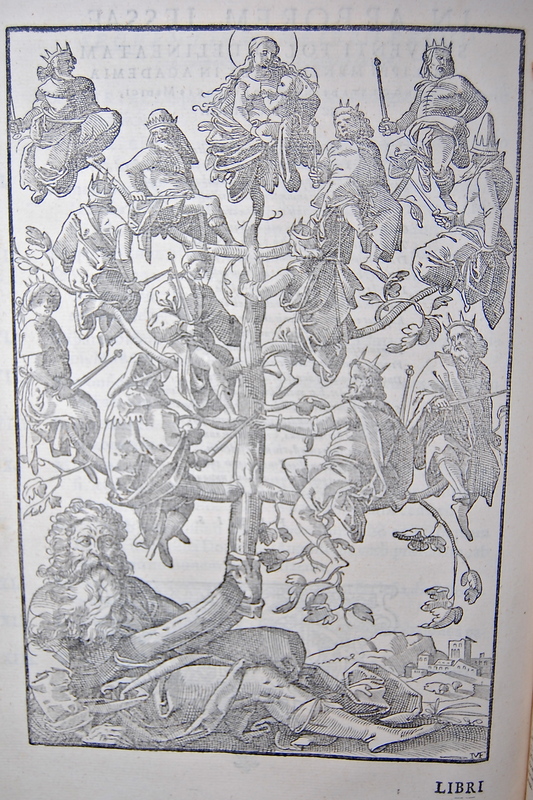 Second Edition Numerous full-page woodcut illustrations including one of John the Baptist, the Tree of Jesse with crowned kings and Mary and Child at the top and the key episodes of Mary’s life Bound in 17th or 18th century full vellum. 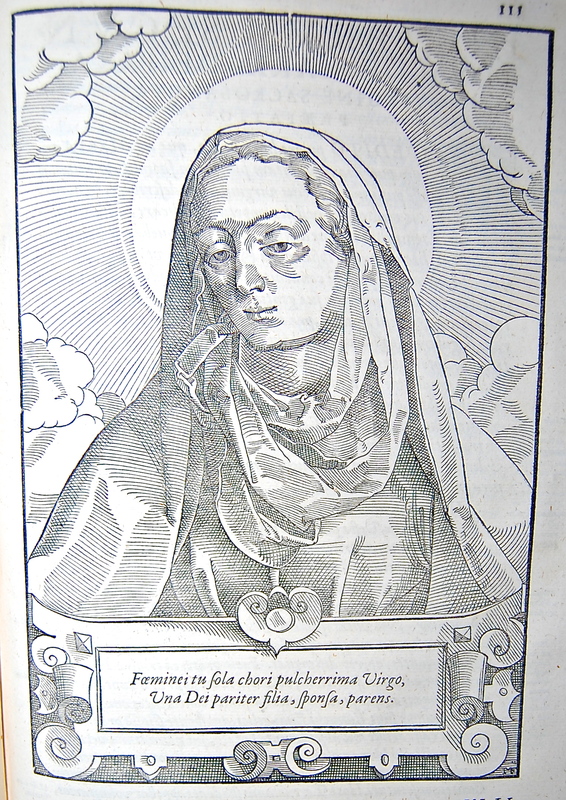 “In 1543 [Canisius] visited Peter Faber and, having made the ‘spiritual exercises’ under his direction, was admitted into the Society of Jesus at Mainz, on 8 May. With the help of Leonhard Kessel and others, Canisius, laboring under great difficulties, founded at Cologne the first German house of that order; at the same time he preached in the city and vicinity, and debated and taught in the university. In 1546 he was admitted to the priesthood. 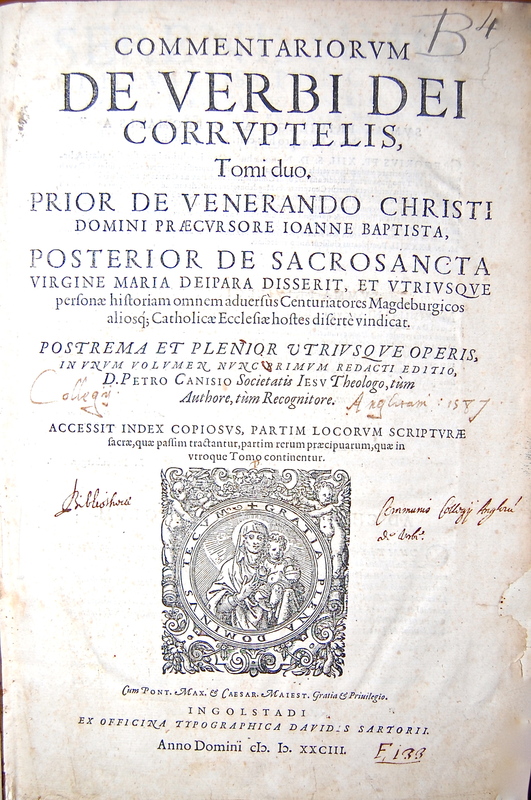 […] [Canisius] spent several months under the direction of Ignatius in Rome [in 1547]. On 7 September 1549, he made his solemn profession as Jesuit at Rome, in the presence of the founder of the order. [Under Ignatius’ direction, Canisius also set up Jesuit colleges in Vienna, Ingolstadt, Prague, Zabern, Munich, Innsbruck, and Dillingen.] By the appointment of the Catholic princes and the order of the pope he took part in the religious discussions at Worms. As champion of the Catholics he repeatedly spoke in opposition to Melanchthon. The fact that the Protestants disagreed among themselves and were obliged to leave the field was due in a great measure to Canisius. […] . 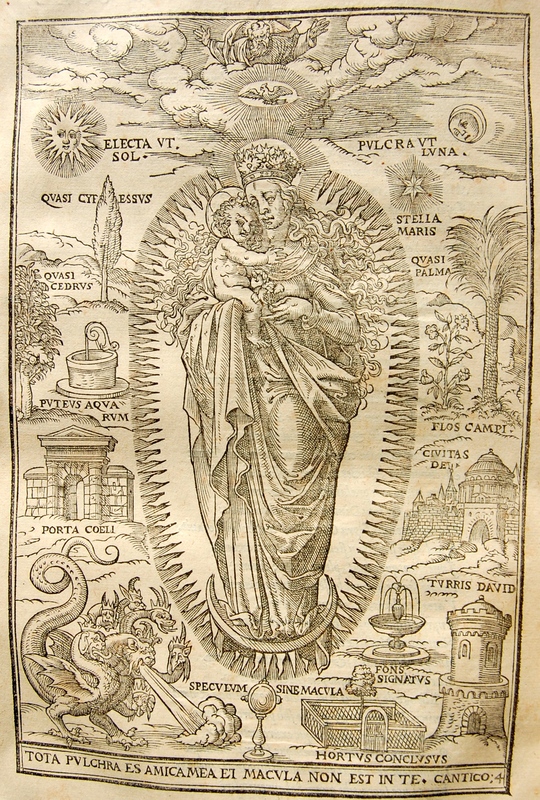 the treatise on St. Peter and his primacy was only begun; the work on the Virgin Mary contains some quotations from the Fathers of the Church that had not been printed previously, and treats of the worship of Mary by the Church. 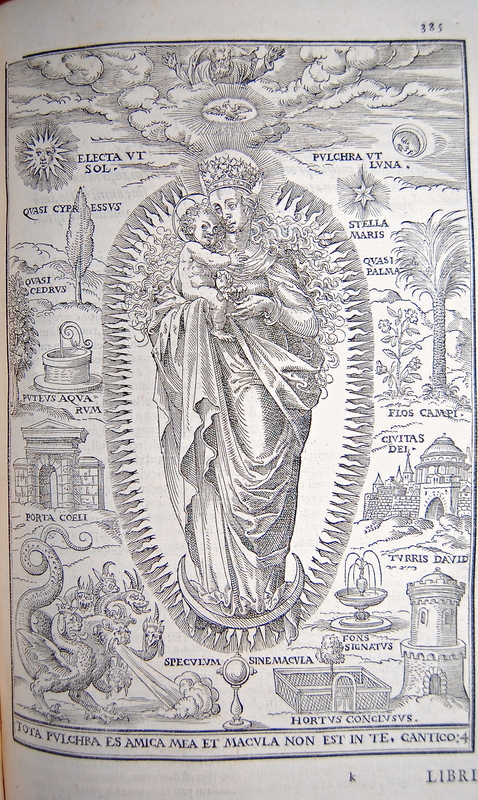 A celebrated theologian of the present day called this work a classic defence of the whole Catholic doctrine about the Blessed Virgin (Scheeben, “Dogmatik”, III, 478) in 2011 Pope Benedict XVI gave the following talk on Canisius. He earned a doctorate in theology at Bologna on 4 October 1549 and St Ignatius assigned him to carry out the apostolate in Germany. On 2 September of that same year he visited Pope Paul III at Castel Gandolfo and then went to St Peter’s Basilica to pray. Here he implored the great Holy Apostles Peter and Paul for help to make the Apostolic Blessing permanently effective for the future of his important new mission. 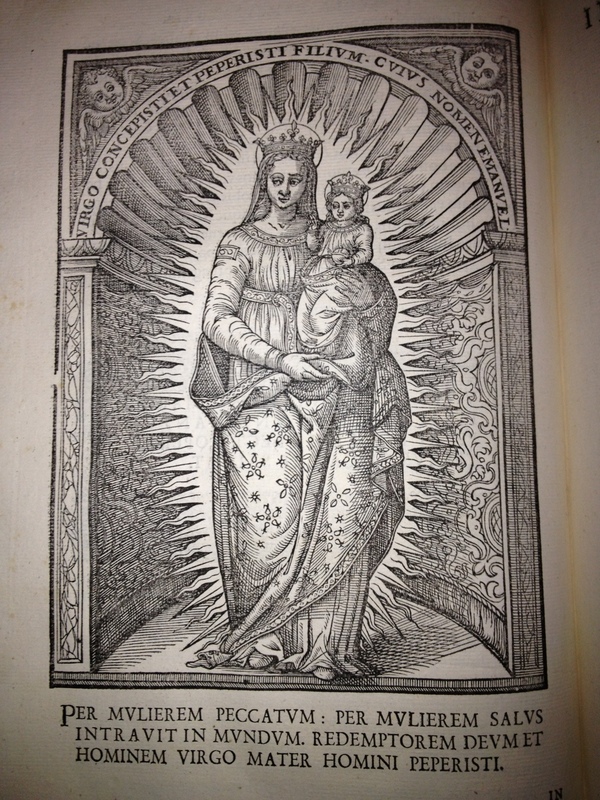 He noted several words of this prayer in his spiritual journal. He said: “There I felt that a great consolation and the presence of grace had been granted to me through these intercessors [Peter and Paul]. They confirmed my mission in Germany and seemed to transmit to me, as an apostle of Germany, the support of their benevolence. You know, Lord, in how many ways and how often on that same day you entrusted Germany to me, which I was later to continue to be concerned about and for which I would have liked to live and die”.We must bear in mind that we are dealing with the time of the Lutheran Reformation, at the moment when the Catholic faith in the German-speaking countries seemed to be dying out in the face of the fascination of the Reformation. The task of Canisius — charged with revitalizing or renewing the Catholic faith in the Germanic countries — was almost impossible. It was possible only by virtue of prayer. It was possible only from the centre, namely, a profound personal friendship with Jesus Christ, a friendship with Christ in his Body, the Church, which must be nourished by the Eucharist, his Real Presence. In obedience to the mission received from Ignatius and from Pope Paul III, Canisius left for Germany. He went first to the Duchy of Bavaria, which for several years was the place where he exercised his ministry. As dean, rector and vice chancellor of the University of Ingolstadt, he supervised the academic life of the Institute and the religious and moral reform of the people. In Vienna, where for a brief time he was diocesan administrator, he carried out his pastoral ministry in hospitals and prisons, both in the city and in the countryside, and prepared the publication of his Catechism. In 1556 he founded the College of Prague and, until 1569, was the first superior of the Jesuit Province of Upper Germany. In this office he established a dense network of communities of his Order in the Germanic countries, especially colleges, that were starting points for the Catholic Reformation, for the renewal of the Catholic faith. At that time he also took part in the Colloquy of Worms with Protestant divines, including Philip Melanchthon (1557); He served as Papal Nuncio in Poland (1558); he took part in the two Diets of Augsberg (1559 and 1565); he accompanied Cardinal Stanislaw Hozjusz, Legate of Pope Pius IV, to Emperor Ferdinand (1560); and he took part in the last session of the Council of Trent where he spoke on the issue of Communion under both Species and on the Index of Prohibited Books (1562). In 1580 he withdrew to Fribourg, Switzerland, where he devoted himself entirely to preaching and writing. He died there on 21 December 1597. Bl. Pius IX beatified him in 1864 and in 1897 Pope Leo XIII proclaimed him the “Second Apostle of Germany”. Pope Pius XI canonized him and proclaimed him a Doctor of the Church in 1925. 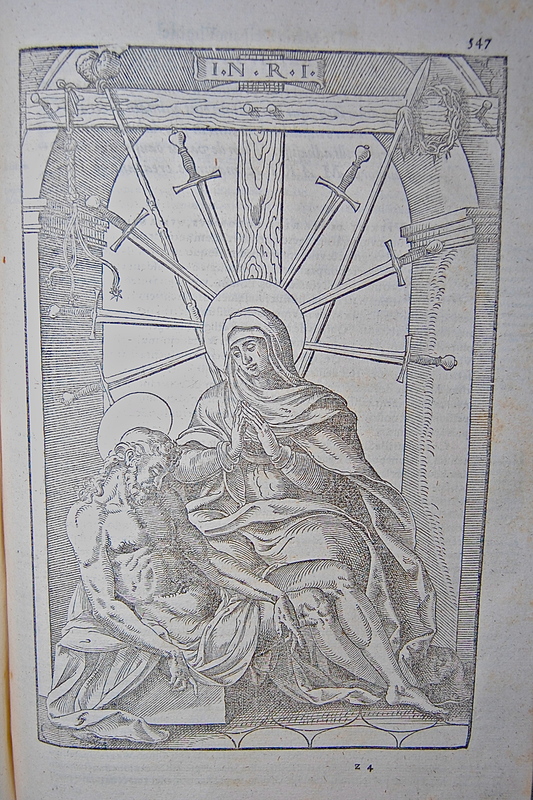 He subsequently deepened the experience of this friendship, familiaritas stupenda nimis,through contemplation of the mysteries of Jesus’ life, which form a large part of St Ignatius’ Spiritual Exercises. This is the foundation of his intense devotion to the Heart of the Lord, which culminated in his consecration to the apostolic ministry in the Vatican Basilica. This exhortation and method have kept their value intact, especially after being authoritatively proposed anew by the Second Vatican Council in the ConstitutionSacrosanctum Concilium: Christian life does not develop unless it is nourished by participation in the Liturgy — particularly at Sunday Mass — and by personal daily prayer, by personal contact with God. Within a decade of its founding, the Society of Jesus had already developed its own kind of spirituality. Ignatian spirituality, as it is now called, has as its cornerstone the Spiritual Exercises written by St. Ignatius himself.